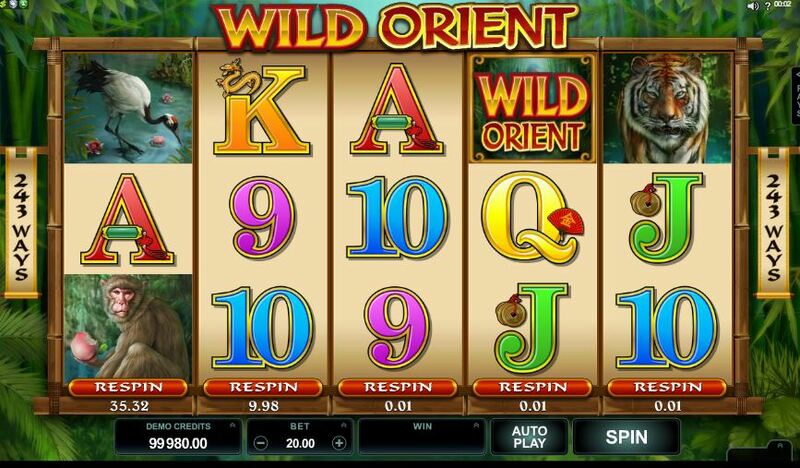 Wild orient slot is one of a series of Microgaming 243 way clones along with Burning Desire slot and Bikini Party slot to name but a few. Your theme this time is Asian wildlife with a Tiger as the main symbol. 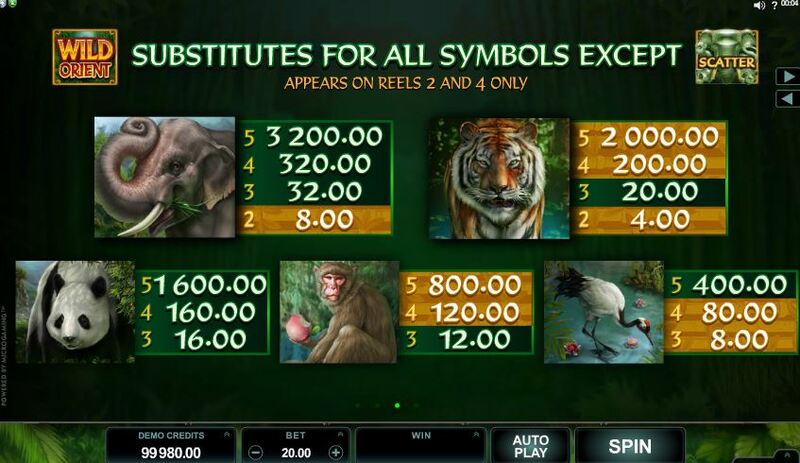 There are Wilds only on reels 2 and 4 and free spins can be triggered by 3 scatters anywhere in view. 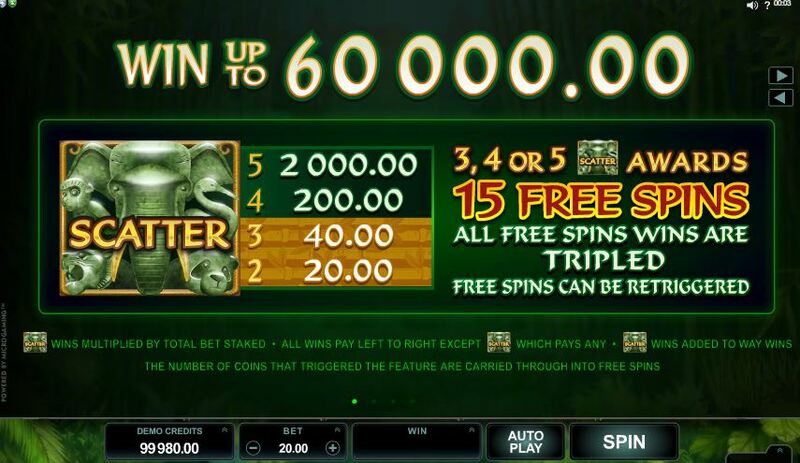 You will be awarded 15 free games with all prizes tripled and retriggers are possible. 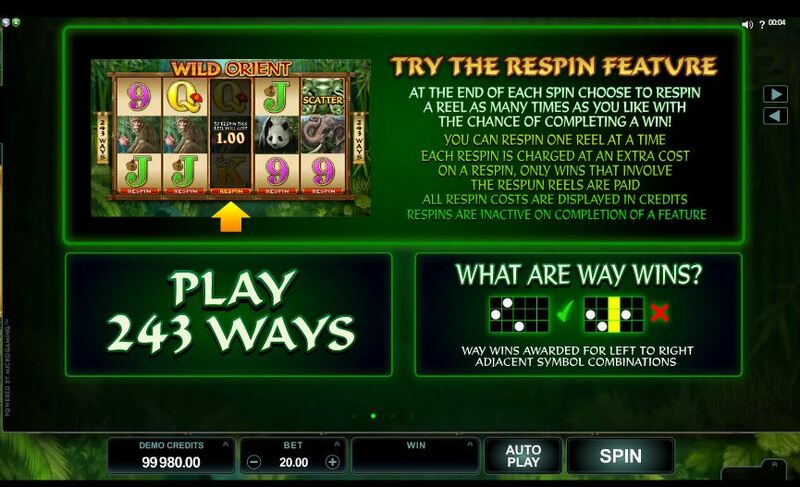 You also have the reel-respin option where you choose to pay a fixed price to respin any reel as many times as you like. WE RECOMMEND YOU TREAT THIS WITH CAUTION BEING AS IT’S VERY EXPENSIVE! RTP is 95.87%.